Engaging with children and their families to facilitate the ability of children to play, as well as the ability of the parent to ‘read’ their child’s play and enjoy playing with their child, can be a very satisfying part of the work of a therapist. The therapist also needs to be able to play and to be playful when carrying out this type of therapy. In this section I have provided information, resources and products to assist therapists in their work with children and families. This section is divided into: assessing play; engaging children in play; Learn to Play Therapy overview; resources and products. Assessing a child’s play ability gives you lots of information about how a child engages with their world and how they understand their world. The ability of a child to self-initiate their own play is, I think, a key play ability. Many of the children I have worked with find self-initiation of play very difficult. Assessment of a child’s play then, is about observing a child play and understanding and interpreting this information within the child’s family, social and cultural systems. There are many types of play and the assessments in this section are focussed on assessment of pretend play. Pretend play is a more mature form of play and its early development occurs from the second year of a child’s life to be a dominant form of play when a child reaches preschool age. Symbolic and Imaginative Play Developmental Checklist (SIP-DC): This is an informal observational assessment of a child’s play. It is for children aged 12 months to 5 years. The SIP-DC is available in the Learn to Play book. The SIP-DC is composed of play activities by developmental age groups. These age groups are: 12 months, 18 months, 20 months, 24-29 months, 30-35 months, 36-41 months, 42-47 months, 48 months and 60 months. The areas of play ability that are observed are: the child’s ability to engage in play scripts, sequencing play actions, using objects in substitution, social interaction, role play, and doll/teddy play. The SIP-DC will give a pattern of a child’s play across these areas. Children who have delays in their play will most probably present with areas of relative strength in their play and areas in their play where they require therapy to build their skills. To administer this assessment, the child can be observed in a natural setting such as a playgroup or preschool, or the child can be observed in a one-on-one session. In a one-on-one session, the child is presented with age appropriate toys and at least 2 objects (for example, a box and cloth). At a minimum, suggested toys would be: doll/teddy, cup, spoon, cloth, truck, box. The child is encouraged to engage with the play materials and the therapist is passive and observes. Encouragement is given to the child to engage with the play materials if the child is shy or anxious. If the child is not engaging with the play materials by 5 minutes of observation, the therapist can come in and begin to model play actions, such as: feeding the teddy with a spoon, or pushing a truck, or putting the teddy in the truck and pushing the truck. On the SIP-DC, the score sheet is a grid with skill areas across the top of the grid and age levels on the side of the grid. If a child can engage spontaneously in a particular area, then a dot is placed in the grid where the play skill and age level intersect. For example, if a child feeds the teddy spontaneously, then a dot would be placed in the grid under play scripts at the 18 month level and a dot would also be placed at the 18 month level under doll/teddy. For children who do not show ability in a particular play area, the grid box is left blank and for children who imitate the therapist, a square is placed in the grid box. Pretend Play Enjoyment Developmental Checklist (PPE-DC): This assessment will be available from early 2017. This assessment is an informal observational assessment of a child’s ability to engage in pretend play. It is suitable for children aged 12 months to 6 years and has information on self-esteem and self-regulation up to early adolescence. This assessment provides an observational guide for pretend play ability, self-esteem and self-regulation. How children play gives information on how children understand their world and their place in it. The ages covered in this assessment for pretend play ability are planned to be: 12 months, 15 months, 18-20 months, 21-23 months, 24-29 months, 30-35 months, 36-47 months, 48-53 months, 54-59 months, 60 months, 72 months. For self-esteem and self-regulation, the ages covered are 2 years to early adolescence. The administration for play ability is similar to the SIP-DC and for self-esteem and self-regulation there are further administration options. The scoring includes symbols to show: spontaneous ability, imitation, focussed attention and joining in the play. Child-Initiated Pretend Play Assessment: This assessment is a norm-referenced standardised assessment of a child’s play. The revised manual will be available from early 2017. This assessment is for children aged 3 years to 7 years 11 months. This assessment takes 18 minutes for 3 year old children and 30 minutes for 4 to 7 year 11 month old children. There are two sessions within the ChIPPA assessment which are: observation of conventional-imaginative play ability (9 minutes for 3 year olds and 15 minutes for 4 – 7.11 year olds) and observation of symbolic play ability (9 minutes for 3 year olds and 15 minutes for 4 – 7.11 year olds). In other words, the child is observed playing with toys and observed playing with unstructured play materials. Each session is divided into 3 sections and has the same administration format. 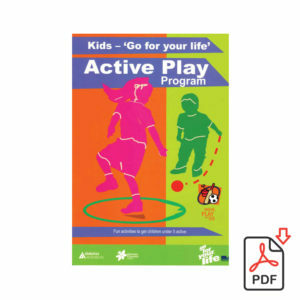 In the first section (this is 3 minutes for 3 year olds and 5 minutes for children aged 4 – 7.11) the play materials are introduced to the child and the child is invited to play with the materials. In the second 3 or 5 minute section, the therapist models 5 play actions. These modelled actions occur when the therapist has an opportunity to use the play materials without destroying the child’s play scene. The therapist models during this 3 or 5 minute section as often as possible without interfering with the child’s play. The final 3 or 5 minute section, the therapist stops modelling and again observes the child, encouraging the child to continue playing if needed. The assessment finishes when the time is up or when it is clear that the child is finished playing and cannot complete the time. The ChIPPA can be scored as the child plays or it can be videoed and then scored by video. The items that are scored are: elaborateness of play, object substitution and ability to self-initiate play. 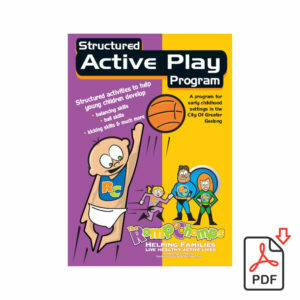 There is also a clinical observations sheet which notes typical indicators of play and indicators of play deficits. There is now an Australian Indigenous version of the ChIPPA. The ChIPPA has been trialled in Canada, Japan, Singapore, Iran, Brazil, Australia, Switzerland, and the UK. Animated Movie Test: This assessment will be available through this website later in 2017. It is undergoing further trials currently. This assessment is for young people aged 12 to 18 years. In this assessment, the young person is instructed that they are the director, producer and actor in a movie. They have 15 minutes to set up the movie set and 15 minutes to act out the movie. Seven boxes of movie props are offered and these are displayed on a table top. The assessment is videoed with a focus on the young person’s hands and movie props. The young person is supplied with a copy of their movie. The items are scored using a Likert scale and items are scored from the video of the assessment. The items are: set up, ability to sequence events, generation of problems, initiation of ideas, emotional engagement in the movie, understanding of character roles, verbalisation and use of symbols. A shorter version of this assessment using 4 sets of movie props is being developed for 8 to 11 year olds. Engaging with children in play to facilitate an increase in their ability demands several skills of the therapist. Children who find it difficult to play or cannot play usually do not understand play behaviour when they see it. Consequently, they are not interested in what the therapist is doing. The therapist needs to be able to play and be playful themselves because children will engage more easily if they perceive that the therapist is having fun. This means the therapist uses their voice, face, and body movement in a playful way when engaging with children in play. The therapist works very hard to get initial engagement. The therapist watches the child constantly and responds to the child always. Working with children to build or increase the ability to play means giving power to the child – encouraging the child to make decisions about what will happen in the play and setting up the environment so the child feels safe to play. To begin with the therapist must know the developmental play level of the child and begin to engage with the child on this level. If the play activities are too advanced for the play level of the child, the child will not engage and may even start to feel stressed. You begin by engaging with the child on the play level they are on and then adding complexity to the play when the child is ready. Learn to Play Therapy grew out of my clinical practice as an occupational therapist working in early childhood intervention services. As I began to understand how to observe and assess a child’s spontaneous ability to pretend in play, I started to understand that many of the children I was working with had solitary and social pretend play levels that were (in many cases) years younger than their chronological age. Knowledge of children’s play ability was very helpful in knowing where to start to play with them and also what play skills they needed to be able to spontaneously play by themselves and then with others. After many years using Learn to Play Therapy and the privilege of being at a university and in a position to carry out research, I have come to understand much more about children’s play, how to engage them in play, and been amazed at the consequent changes and shifts in a child’s language ability, social interaction, and self-esteem. The aim of Learn to Play Therapy is to build the spontaneous pretend play ability of children. One of the great satisfactions of being a therapist I have found, is to give a child the ability to play by him/herself and with others. In doing this, you become redundant as a therapist as children grow in their ability and generalise their play ability skills to home, neighbours, and early childhood settings. Learn to Play focusses on pretend play as this type of play, is the most complex and mature form of play. Pretend play also impacts on language (particularly narrative language), social interaction, and emotional integration of the child’s experiences. The play skills that are the focus of Learn to Play Therapy are: ability to spontaneously self-initiate play, sequencing play actions logically, using objects as something else (object substitution or symbols in play), engaging with a doll or teddy character outside of themselves, integrating their play so a clear play script is evident, role play and socially interacting using play. Further resources are available here, Workshops and training are also available here.